AN INTIMATE EVENING with ROCK & ROLL HALL OF FAMERS: THE LOVIN SPOONFUL! AN Intimate Evening with THE LOVIN' SPOONFUL! You've herard the songs, no hear the songs and the stories behind the stage and songs, on the intimate Surf Room stage! General Assigned Seating - ROCK & ROLL HALL OF FAMERS: THE LOVIN SPOONFUL! Early advance general admission tickets are only $44.00 until January 17th 2019. Then $48.00 through February 14th 2019. $52.00 through March 14th 2019. $56.00 through March 28th 2019. $60.00 at the gate, the day of; if still available. We expect to sell out for this concert so get your tickets now! And the earlier you purchase the more you save, as well as get the best seating! If you wish to sit in a group with others please be sure to buy the entire groups tickets at one time so we can be sure to have you together. If there are any special comments please be sure to make them when ordering your tickets. Like all our concerts, in order to seat everyone best, we reserved the assigning of seats based on the best available in the order in which they were purchased. Limited Preferred Assigned Seating - ROCK & ROLL HALL OF FAMERS: THE LOVIN SPOONFUL! Preferred seating inside the great room at surfboard tables, but NOT in front of the stage; $62.00. Limited VIP Assigned Seating - ROCK & ROLL HALL OF FAMERS: THE LOVIN SPOONFUL! Limited VIP tickets will also be available and include up front reserved seats (best available at purchase time), table snacks, and a drink ticket. This ticket does NOT include Meet & Greet prior to the show. VIP tickets are very limited and usually sell out quickly. A single show VIP ticket is $75.00, and are on a first come first serve basis. Limited Platinum VIP Assigned Seating (Includes Private Meet & Greet) - ROCK & ROLL HALL OF FAMERS: THE LOVIN SPOONFUL! Extremely Limited Platinum VIP tickets are $85.00 and includes up front reserved, table snacks, free drink ticket and private pre show MEET & GREET and photo opportunity with the band, prior to show at 6:15ish. 53 years ago The Lovin' Spoonful began in Greenwich Village, NY, combining a folk and Jug Band music with an electric bass and drums, and created what was soon to be known as "Good Time Music". They became immediately popular world-wide, and after their first hit, "Do You Believe in Magic" there were 6 more straight top 10 hits, including "You Didn't Have To Be So Nice", "Did You Ever Have To Make Up Your Mind", "Nashville Cats", and their two # 1's: "Summer in the City" and "Daydream". 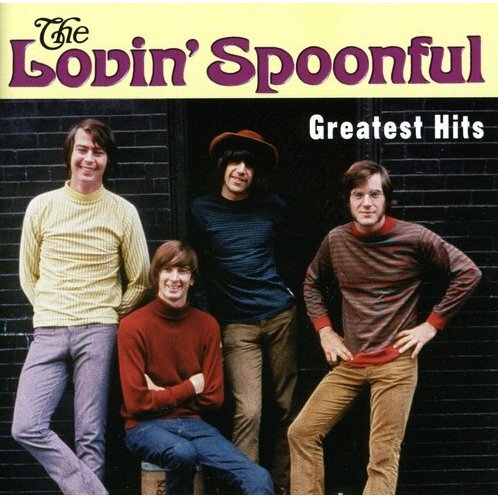 The Lovin' Spoonful was inducted into the Rock and Roll Hall of Fame class of 2000 that included Eric Clapton, Bonnie Raitt, Earth Wind and Fire and James Taylor. In 2006 the Spoonful was also inducted into the Vocal Group Hall of Fame. The band is still enjoying touring especially since their audiences may not have had the opportunities to see and hear the band in the 1960's as they only toured for 3 years before all going on to solo projects. So don't miss your chance to see them on the intimate winery Surf Room stage! They will be sharing behind the scenes and songs stories. You've heard the songs, now it's time to hear the stories too!! Gates open at 5:30pm with food available until 7:00pm featuring Creative Chef's delicious American and locally inspired cuisine. Food is not included in the ticket price. Opening music by local hippie favorites Dockstreet! Large flour tortilla stuffed with beans, lettuce, cheese, and your choice of meat.